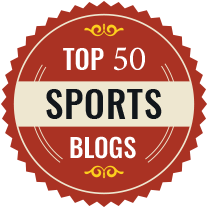 You can tell by the name of this blog that it’s devoted to fastpitch softball. I try to provide information that helps coaches and parents help their fastpitch players. But my guess is that at least some (if not many) of you parents also still play a little slowpitch softball yourselves. So for your benefit, I thought I’d pass along a little info that came to me from a manufacturer called jak’d, about their new bat called the Claymore. It’s a 100 percent composite bat, and the manufacturer says it has plenty of pop and a short break-in period. Also that it’s approved for play by USSSA. This is not an endorsement since I haven’t tried it, but if you’re a player it might be worth checking out. And if you do, be sure to stop back and leave a comment letting us all know if it performs as-advertised. After all, we can all use a little extra edge in our games. Posted on January 18, 2013, in Hitting. Bookmark the permalink. 1 Comment. Hey Ken,Thanks for the mentions in your blog! We’re proud to be associated with Life in the Fast Pitch Lane and absolutely love all of the tips that you give to players.We love the game and we love to help softball players look and play like champions.Thank you from jak’d for posting all of the great tips that will help players with their game.Changing the Game!